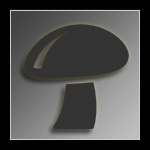 Hey Myco Friends i thought i would start a thread on outdoor mushroom growing .............so here it is Weeeeee... ! Here on this thread you can share Your OUTDOOR Mushroom Grows ! .WOW ! THAT'S A MOUTHFUL ! So share your GROWS interesting info ,others teks ,. OR Questions . I am in a Temperate Zone with harsh natural climate swings .zone 5a . So please when you post your out door info mention your climate zone . Many tasty wild and medicinal mushrooms grow here In my zone and many grow there own ..
As far as i know No Actives grow here ...............? Soon i plan on trying a few OUT DOOR Edibles and Medicinal s Maybe grown on Straw Bales ? ? MORE TO COME ! PLEASE CHIME IN AND SHARE ! please if you find some good older mycotopia threads to out door cube or wood lover tek/threads please link them to this thread . Edited by bezevo, 07 April 2019 - 07:29 PM. So i thought this spring i would inoculate each straw bale with a different edible mushroom spawn and then add my soil and veggies on top ... so mushrooms grow out sides and veggies on top per haps some mushrooms will fruit threw soil . ..................well thats the idea . Whats YOUR IDEAS ? Edited by bezevo, 07 April 2019 - 07:41 PM. ACTIVES Hummmmm ? Sounds Fun ! i have no experience growing actives Outdoors . but very interested . If you have a project or some good info chime in and share Also past threads on topia for cubes ,pans/hoogs/erotics , azures other wood lovers . outdoors ! Here are some links to simple tutorials . Edited by bezevo, 07 April 2019 - 11:50 PM. I have high hopes to be an active member of this group. I received a syringe of Azurescens Liquid Culture and a small piece of agar with the same mycellium on it, and last weekend I nocced up three jars of red and yellow popcorn, and a big ziplock baggie full of corn as well. The mycellium is now showing up and hopefully this will all take off with no issues. When it is ready I plan on buying a good quantity of Alder chips and making a nice deep bed of chips, cardboard and cottonwood branches layered in there too. That's the plan anyhow... 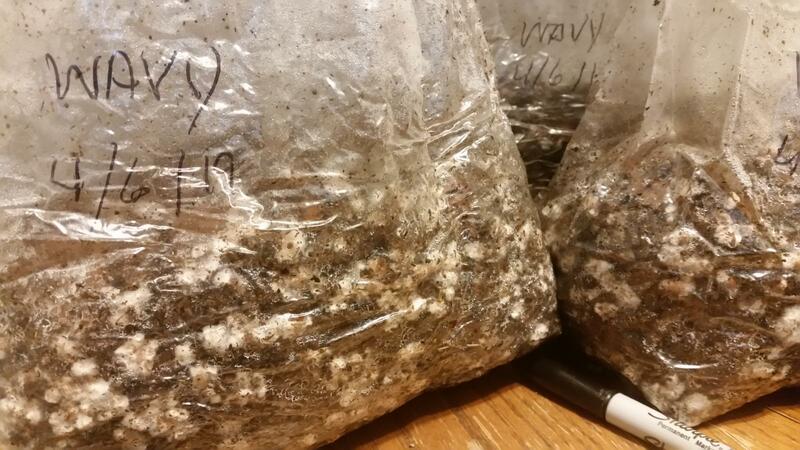 Growing mushrooms in my current location is challenging to say the least, so I am hoping to have more luck with a strain indiginous to this area and done outdoors. so what climate zone are you in i am in zone 5a .. our normal climate goes from occasional -2of to short periods of 110f it averages 8ff to 95 f in summer very humid . whats your climate like ? Edited by bezevo, 07 April 2019 - 11:00 PM. I'll join in as well. I'll be doing some wood lovers (Azures and wavy caps), I'm in Kentucky, I think that's 6b. Im using waylit Jim's recipe for wood spawn with a few changes. Once colonized I'll spread them in outdoor beds in a layered fashion like what's seen in the first few pages of the communal woodlover grow. Thanks bezevo for starting the topic, it'll be fun to participate, as well as seeing what everyone comes up with! cool Mushinist thanks for joining in looking forward to your progress . looking forward to your info on how you make your spawn and prep your outdoor beds . your welcome to link to waylit Jim's stuff also if you think its relevant . Edited by bezevo, 07 April 2019 - 11:28 PM. Edited by Furthur1, 08 April 2019 - 12:29 AM. Hi everyone! yeah this is the thread to grow with! Thanks Bezevo! It's late here so I just wanted to say hi... outdoor growing suites me because I have not successfully fruited woodland actives indoors...YET! I'm about to give up on my last 5lb bag of P Cyan. and give it to the great outdoors. I will post more as time allows. I am in Washington state in the Southern Puget Sound region, now sure what zone that might be. Temperate rain forest here most of the year, with occasional lows in the teens and nothing higher than the 80's most of the time. Most of the winter here is rainy and 45-55 degrees. Very wet and high humidity here most of the year. We get a few months of summer, but usually pretty moderate all the way around. Looks like zone 10 to 15 on the map I googled. Really temperate here because of the convergence zone I live near. Edited by bezevo, 08 April 2019 - 01:35 AM. Figs huh? I will look into that! Well hello. I’m in zone 6, and will fill you all in on my OD projects after I get some sleep. I’ll sound smarter that way. Or maybe just less stupid? Cool, thanks for the links bezevo. I've been putting my subs out side after a couple flushes in my garden compost pile since last fall and I'm planning on making it a proper outdoor patch of cubes. I have some spawn that I need to expand with a g2g and I will dedicate some to the outdoor patch. I have no idea about how to, or if it's even possible to grow cubes in Michigan, but I don't see why some wouldn't pop up. It's just now getting into 60sF during the day, 40s at night, so it needs to warm up a bit. I'll have to read up on OD cubes and cubes in Mich, I'll post my progress and results. 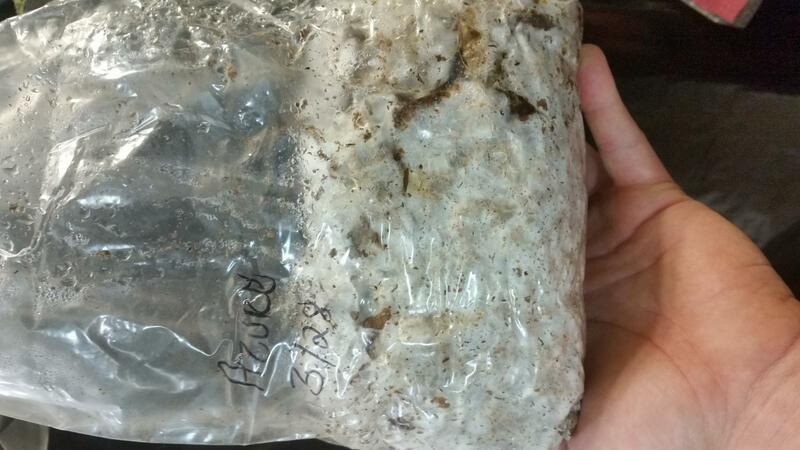 hi bill thanks for posting . . i have no experience with out door cubes but i think the temps you mention are with inn natural temps for wild cube myciliun to survive but the domesticated cubes might be more sensitive. .
fr bigger bed you might want to establish a manure or cardboard spawn . before you go outside to ovoid a lot of grains in your bed to keep rodents and other critters from digging in it for the grain....just a guess . Thanks bezevo, and I think I will add it just for a quick link for anyone wanting to go this route. I'll add that Waylits exotic roundup thread is a great guide that everyone should look through! I soaked the first 3 ingredients for a day and a half in a 5 gallon bucket with regular tap water. I drained the bucket for 5 minutes or so, yes there will be a little water still left in there (my whole reason for omitting the water from the recipe), but don't worry the cactus soil and grass seed will absorb this extra water once they are added and stirred up well. I load into filter patch bags @ roughly 3lbs ea. and PC for 1.5 hrs. This made 4 bags, I used half of a grain spawn jar per bag (grain was wheat berries). The Azures are a week ahead of the wavy caps and are already almost fully colonized, once the wavys take hold I'm sure they will do the same thing. I can say that once spawned to the wood sub it really woke the myc up! hyphenation thanks for the link ! Arathu the member that started the community wood lovers log has no logged on for like 10 months ,anyone in touch with him ? was wondering if if he was ok as he had dental surgery right before he stopped logging on . please all feel free to post relevant links . Edited by bezevo, 08 April 2019 - 02:41 PM.